Having trouble choosing the best service provider among a large number of garage door companies in Kanata, Ontario? That’s only natural. It’s hard to trust the service of your overhead door to just any technician. With us, you can be sure that your job will be done to your expectations. 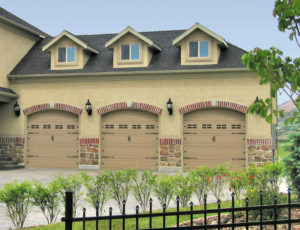 As a professional garage door company in Kanata, we serve the needs of our customers in the best way. We have an expert team of qualified, insured, and certified techs and everyone is well-trained and fully equipped. Such factors highlight our capacity to help you effectively whenever you need service. And you can rest assured that Kanata Garage Door Repair offers a wide range of services. Want emergency spring replacement? Need to install a new overhead door or replace the existing opener? From urgent repairs and regular maintenance to replacements and installations, we offer any requested garage door service. Our pros are updated with the most recent products in the industry. From the next generation Lift master openers to the smart Genie devices and any insulated door made for residential use, we can install and fix them all. And our training never stops since electric garage doors keep changing over the years. But we change as well. And that’s the philosophy of our garage door company. We approach your needs in the traditional, friendly way but utilize innovative technology and updated expertise in order to take care of your concerns. We can fix any garage door. From overhead to roll up, carriage, and up and over doors, our pros can install, replace, and service them all. We become your local garage door company, which can take care of long projects, like the replacement of your door, but also of urgent needs. Are you in need of fast panel repair? Want urgent cable replacement? With our vans equipped, we respond urgently to your calls and do the repair work required to fix the door. You can depend on us for all services and trust the quality work done by our Kanata garage door company. Get in touch for more information.